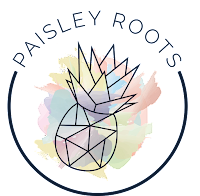 *This post was sponsored by Cricut but all opinions are my own. 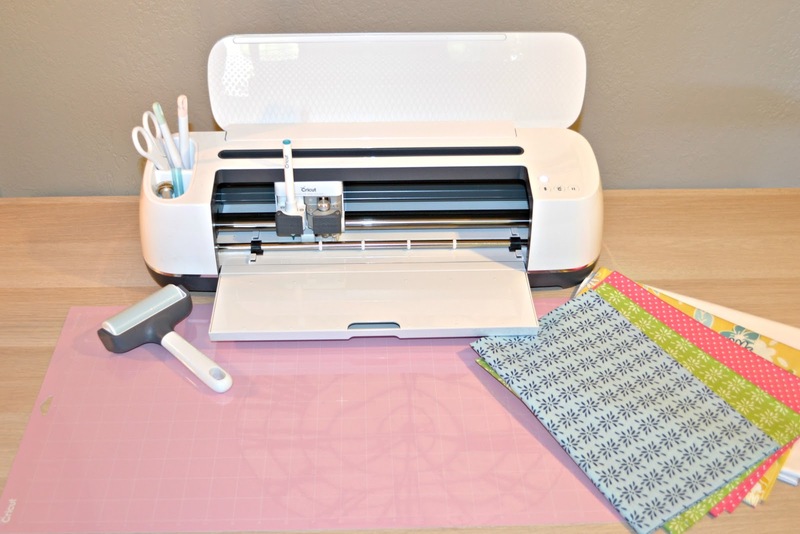 I really can't express how much the Cricut Maker* has been a life saver when it comes to making quilts. Besides the actual "quilting", cutting was my biggest reason I stopped making quilts. Cutting by hand takes so much time and I could never get the squares completely squared, which resulted in "wonky" squares. I'm WAY to OCD when it comes to quilts, so I just stopped making them. To give you a better idea of how big of a life changer this has been, this is my 4th quilt since getting the Maker. 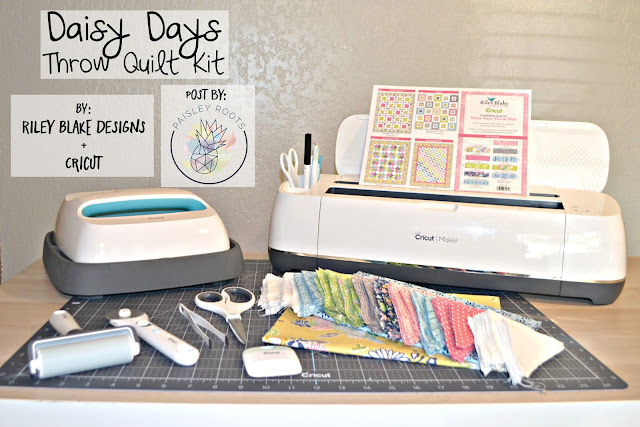 4 quilts in a year people. When I haven't made quilts in 5 years, 4 in one is crazy! Are they "quilted" you ask???? ummmm….I plead the 5th there. One thing at a time okay! In case you missed it, you can find my first post about Riley Blake and Cricut's Quilt Kits here and read about how I chose the Daisy Days Throw Quilt Kit*. 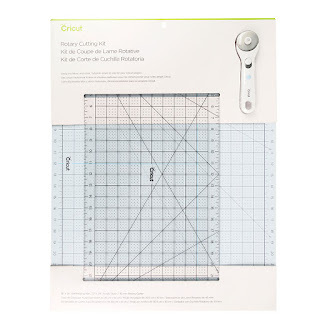 Cricut offers a few awesome tools when it comes to quilting. 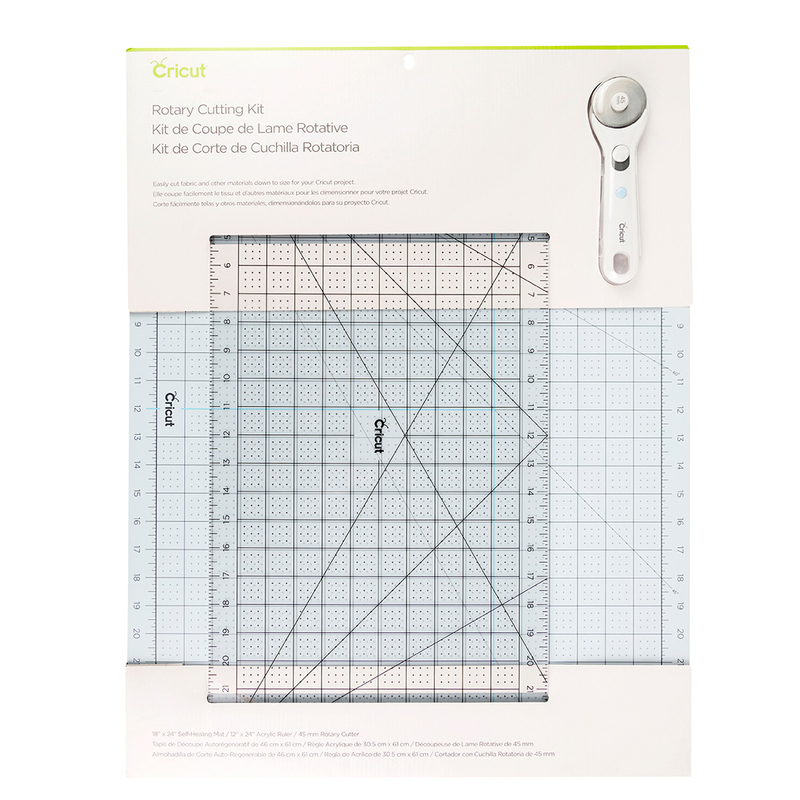 This kit comes with an 18" by 24" double sided, self healing cutting mat, 12" by 24" Oversized Acrylic Ruler, and, of course, a 45mm Rotary Cutter. 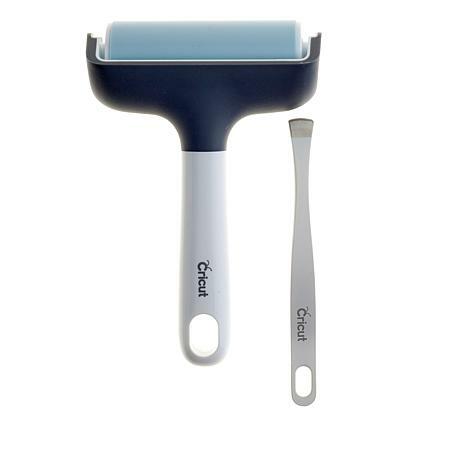 This kit comes with a Brayer and a Broad-set Tweezer. What do you use these for? You'll find out in the video I made at the end! 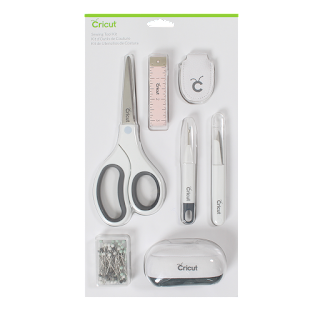 This comes with a pair of 8" Fabric Shears, Thread Snips, Seam ripper, Pin Cushion, Pins, Measuring Tape, and a Leather Thimble. The last one is Cricut's Easy Press*! 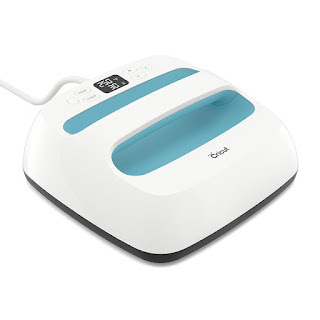 Did you know how amazing it is for ironing fabric too? Obviously you wouldn't want to use it when needing to iron with precision, such as garment seams, but ironing your quilts?? It's amazing! 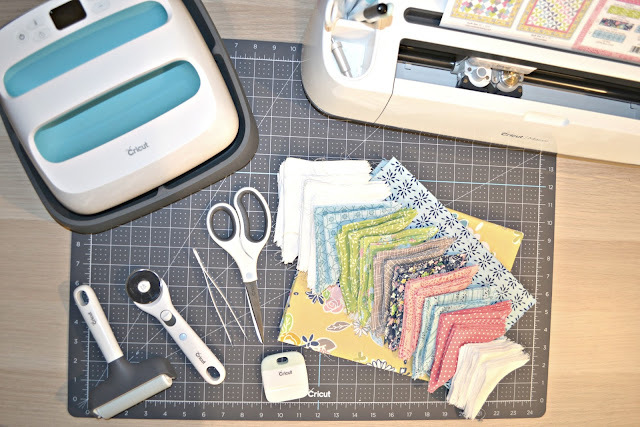 Now that you have all your tools, Daisy Days Quilt Kit*, and Four Hearts Unite Pattern, you can start cutting your fabric! I'm still working on setting up a space, so the lighting is lacking, but I'm definitely so excited that I'm getting better at video's! A couple things for you to know, The Fabric Mat lost it's stickiness at about the 19th mat. My other fabric mats have lasted longer than that, but that's how long this particular new one lasted. Now, don't think that you have to throw away your mat after that. You can clean it! I used LA's Totally Awesome All Purpose Cleaner after watching quite a few YouTube Video's and how often it was recommended. I tested it out on my two 12" by 24" fabric mats, and it really does work! I just sprayed it with the cleaner and used the Cricut Scraper to get all the furs and fabric strings off. My one mat had been used for 3 of the 4 quilts and I also cut out 4 mermaids (felt hair included) on it before it lost it's stickiness, (I told you it lasted soooo much longer than this new one!). Even though you can still see the cut marks from previous projects, it's just as sticky as the day I got it! The best part?? You can buy LA's Totally Awesome Purpose Cleaner at the dollar store! I know I probably sound ridiculous, but I was pretty excited that it was so cheap. I cannot wait to get this quilt finished up and show you guys the finished product!